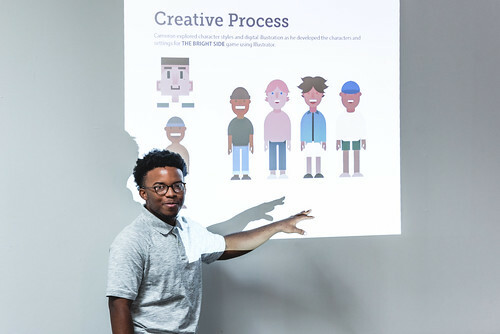 Now in its 10th year, AIGA Jacksonville’s Discover Design final presentation day wrapped up 13 weeks of professional designers mentoring eleven talented local high-school students. 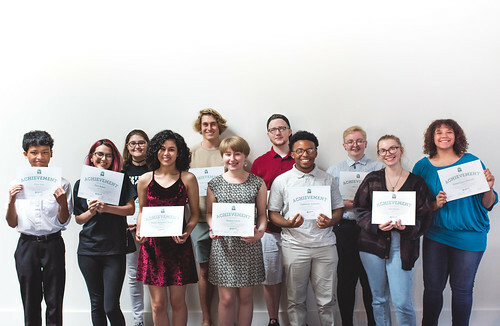 On May 12th, 2018, the students presented their final projects in front of their friends and family at Figure 8 Studio. Discover Design class of 2018. This year, the students’ projects focused on social media as a benefit or hindrance to society. Mentors stood by their students as they presented their experience learning the design process and finishing a project from concept to final execution. After the presentations, the students were awarded certificates of achievement, and final printed pieces were displayed on stage for everyone to see in detail. Cameron presenting his creative process with his group. The 13-week mentoring program was held at UNF’s Fine Arts Center where students used the design labs’ computers with guidance from their mentors. The first half of the program focused on researching a problem the students are passionate about, formulating a concept, and exploring the design process. During the second half of the program, the mentoring groups spent time creating apps, editing videos, printing t-shirts, and creating logos, posters, and stickers for the final presentation day. Focus App group: Justin, Will, Arti, Dominique, and Karen. 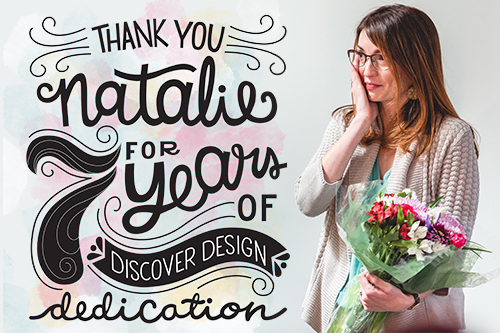 At the close of the presentation, we said a huge thank you to our longest standing Discover Design Co-Chair, Natalie K. Pope, as this is her last year. We cannot thank her enough for all the years and effort she has dedicated to this program. She has helped shape this program into what it is today, and we will miss her terribly. Thank you, Natalie! 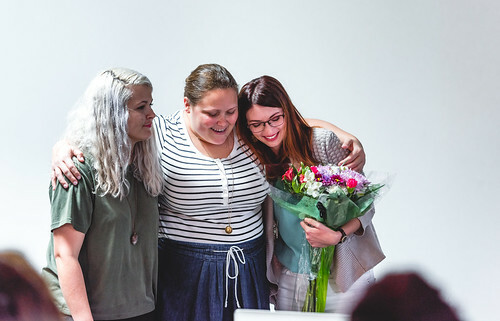 Discover Design Co-Chairs: Tess, Lauren, and Natalie. Natalie receiving thanks for all her years with the program. 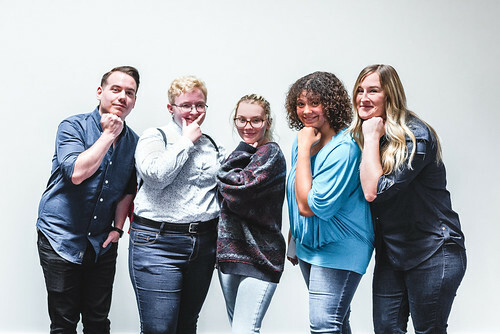 AIGA’s Discover Design Mentoring program continues to be a rewarding way to be involved with AIGA and the local community. Thanks to UNF and Figure 8 Studio for hosting the space for Discover Design. 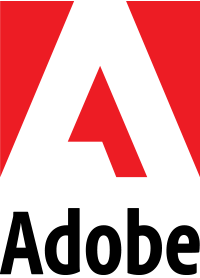 Special thanks to our chapter sponsor, PrintJax. Check out more photos from Discover Design’s final presentation on our Flickr account. If you’re interested in mentoring next year or would like updates on the program, email us at discoverdesign@jacksonville.aiga.org.